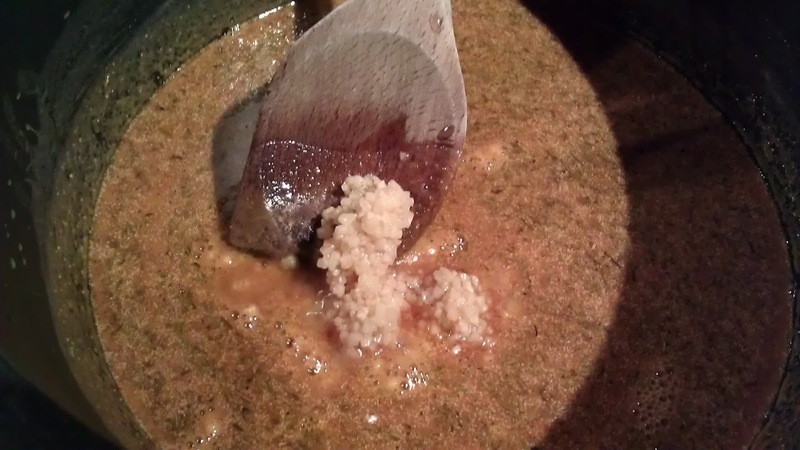 A friend was making a roux for gumbo during the week. He had some issue with the first batch. I thought it was be a lot simpler if I could just show him how a cooked roux should look like since, by coincident, I was going to make some gumbo this weekend. 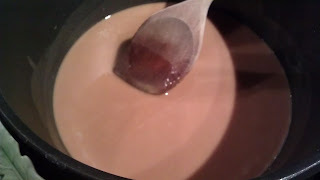 I made the roux, took a picture of it. Great thing about roux, you can actually make it ahead of time and pour it into a jar and store in the fridge for a week of so. The treat to make a good roux is all about patience, slow and steady. Keep stirring on low heat, then the flour is toasted and you will have a popcorn like smell and a runny peanut butter color and texture, it's down. 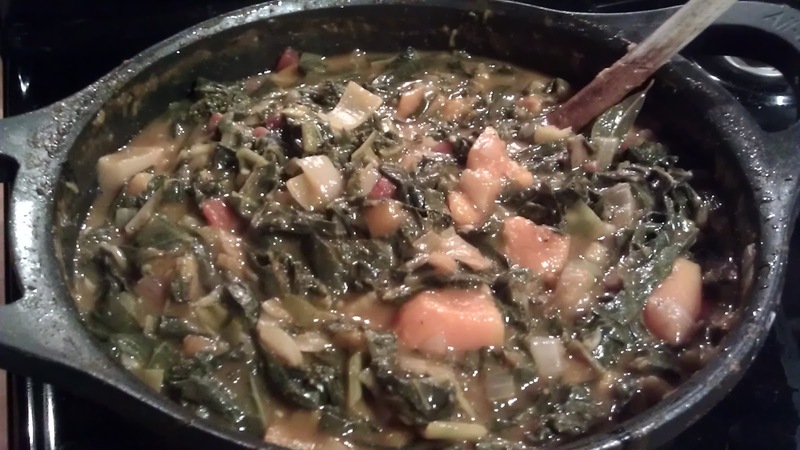 As with the recipe here, this is a modification of the classic Good Friday Greens gumbo. 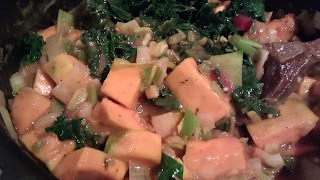 I added squash since it is in season and it also add a little texture to the stew. When you assemble this, you will notice it is very thick at the beginning. 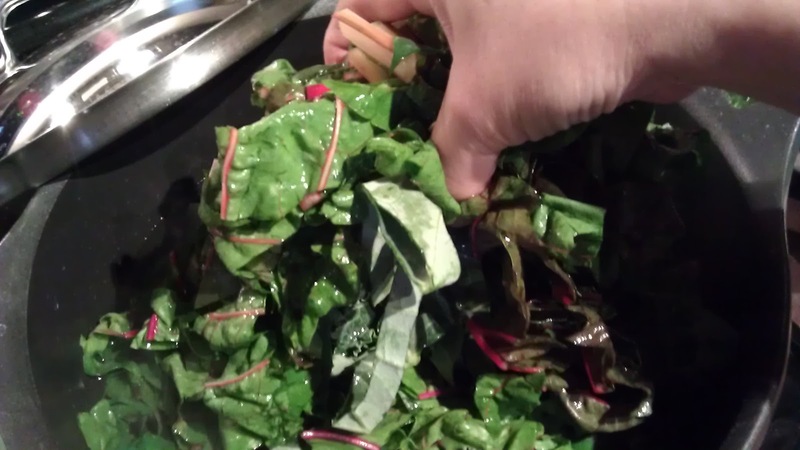 Not to worry, as you cook the greens, the sauce will loosen up since the vegetable will release juices/liquid. By the way, this is not a low-cal dish since we are using a rich roux. 4 large bunches of greens such as collard greens, chard or kale. 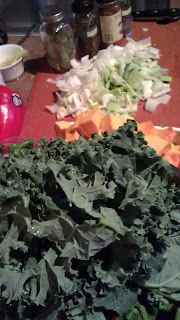 I am using 2 bunches of collard greens, 1 rainbow chard and 1 green kale. 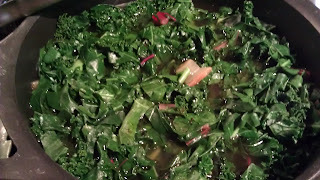 If you are using collard green and kale, remove the rib, roughly chopped the greens. 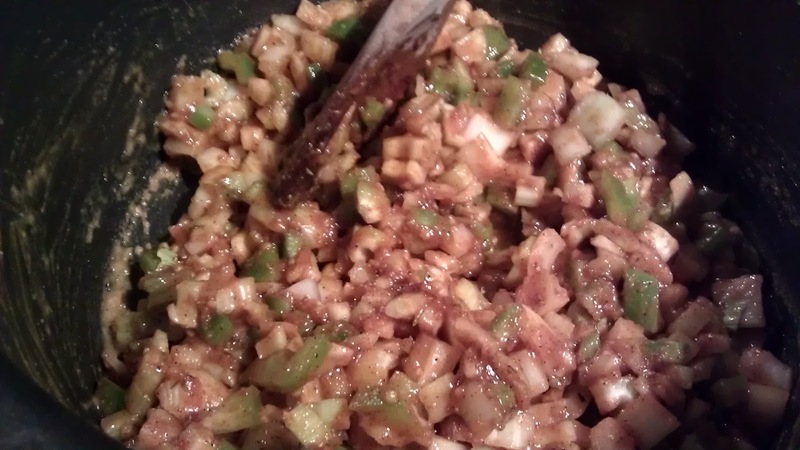 1 large tbsp chopped garlic. 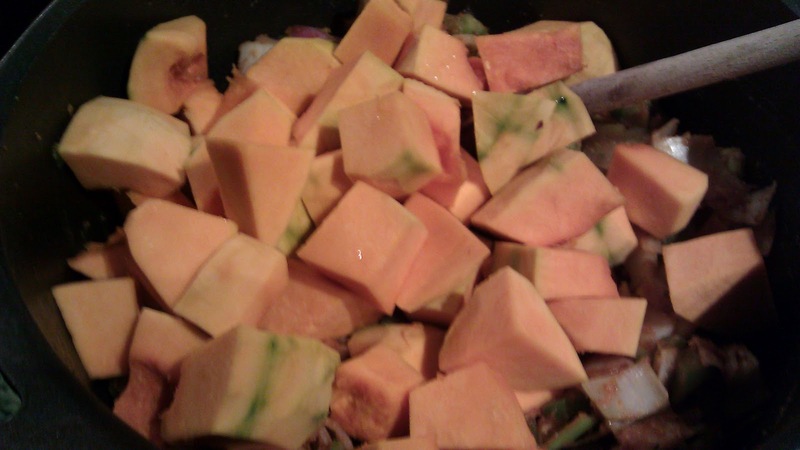 1 squash, peeled, seed removed and cut into 1" pieces. 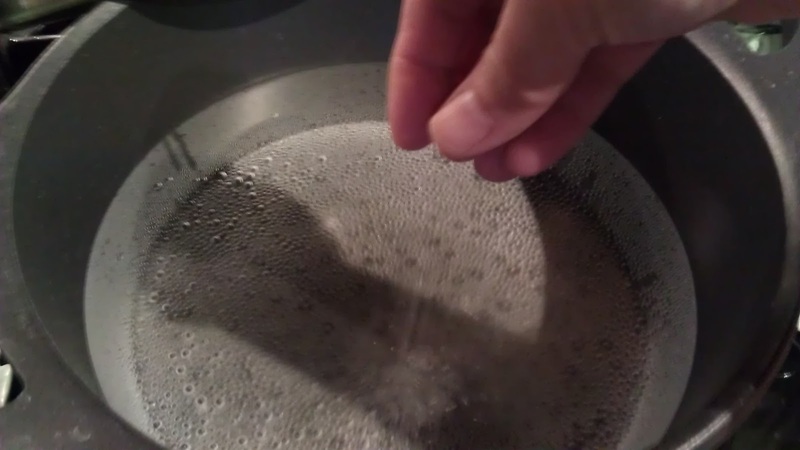 Bring a large pot of water with a dash of salt to a boil. 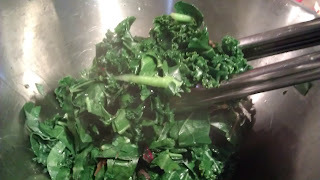 Blanch the green in batches to soften. 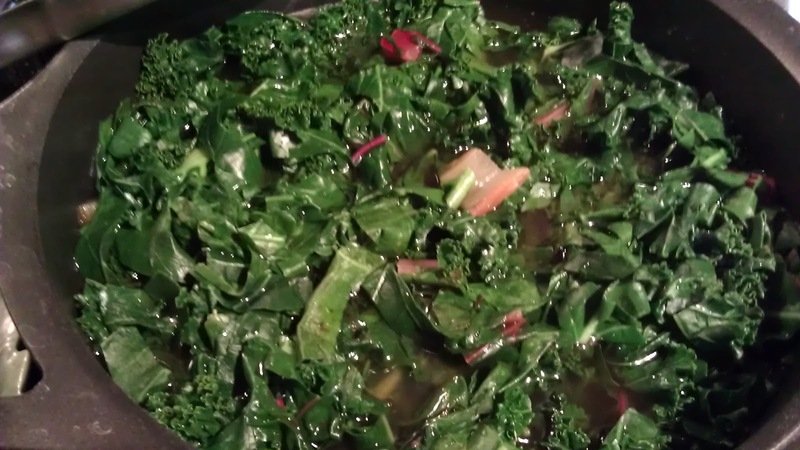 Bring the green to a quick boil. 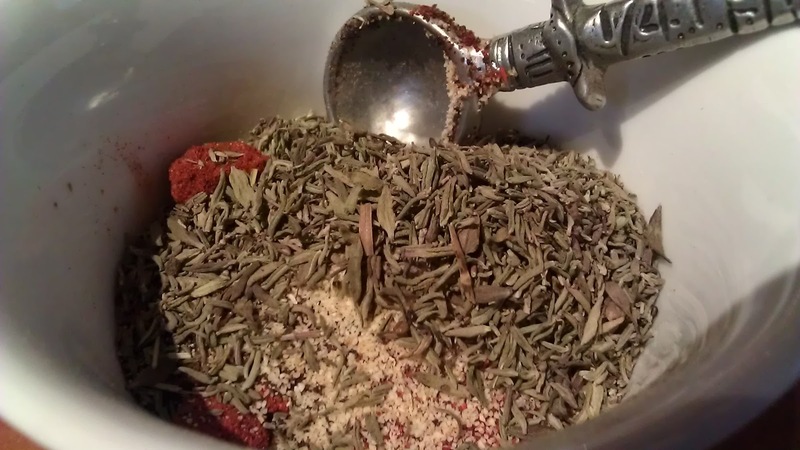 Save 3 cup of the liquid, set a side. 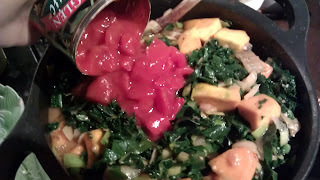 In a large dutch oven, add the roux mix reheat till hot. Stir in onion, green pepper and celery. 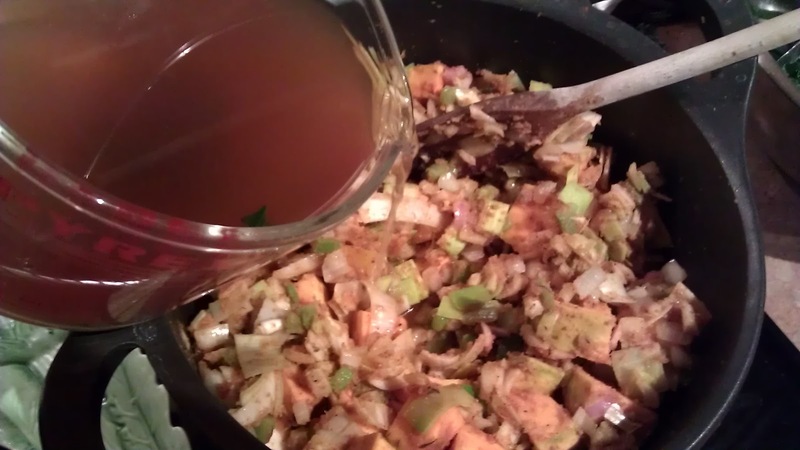 The roux will be come very thick. 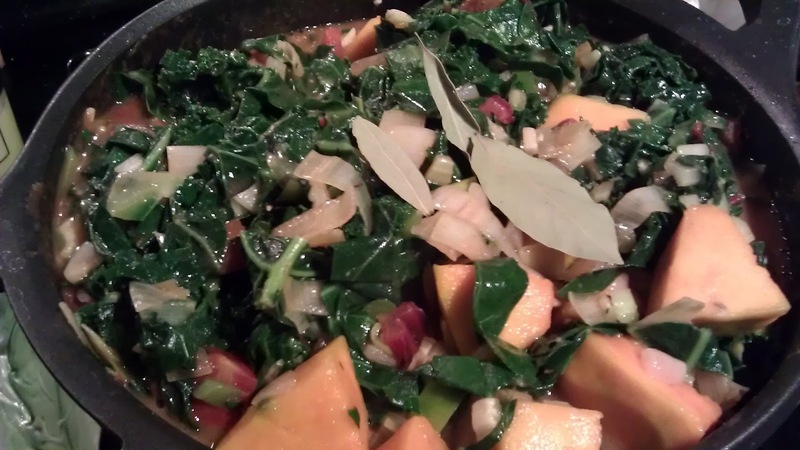 Lower the heat to med and let it cook for a few mins. 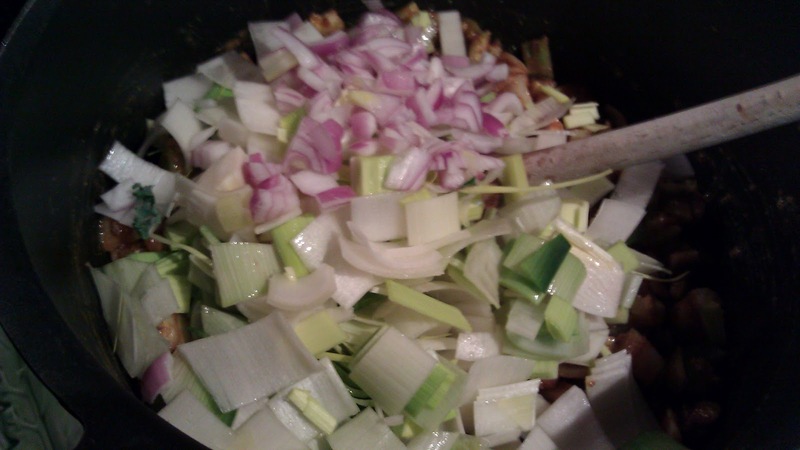 Stir in leek and shallot. Return the greens to the gumbo mix in the dutch oven. Add in the tomatoes, stir well. 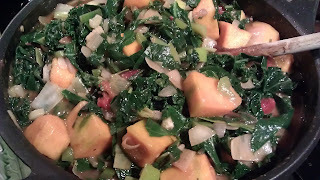 Once the greens and the squash are tender. It's ready to serve. Ladle the gumbo over rice. 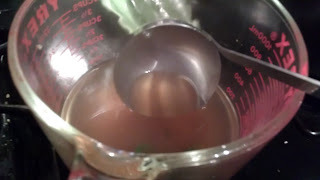 Heat the oil in a small saucepan till hot. Slowly add in the flour. Keep stirring the mixture till the color the roux turn to a peanut butter color, with a consistency of runny peanut butter. 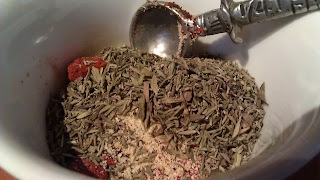 You will also get a popcorn-like fragrant. 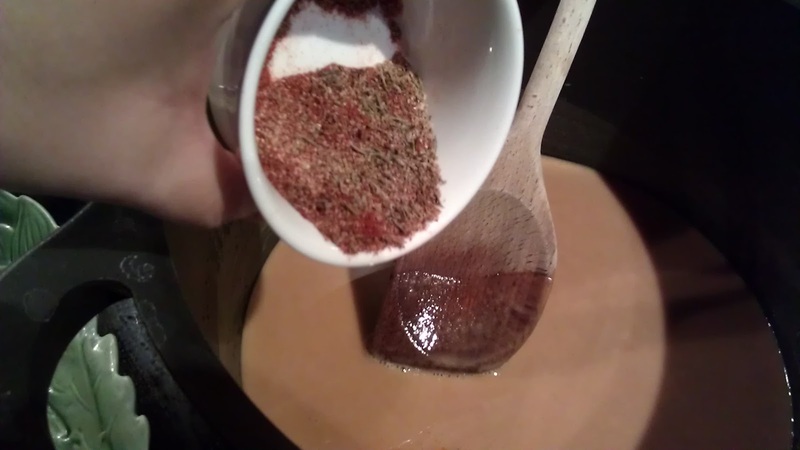 The roux is ready. 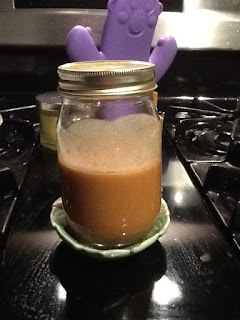 You can transfer the roux mix in a glass jar once it's cold and store in the fridge. Or if you are using it right away, you can cook the roux in the dutch oven.